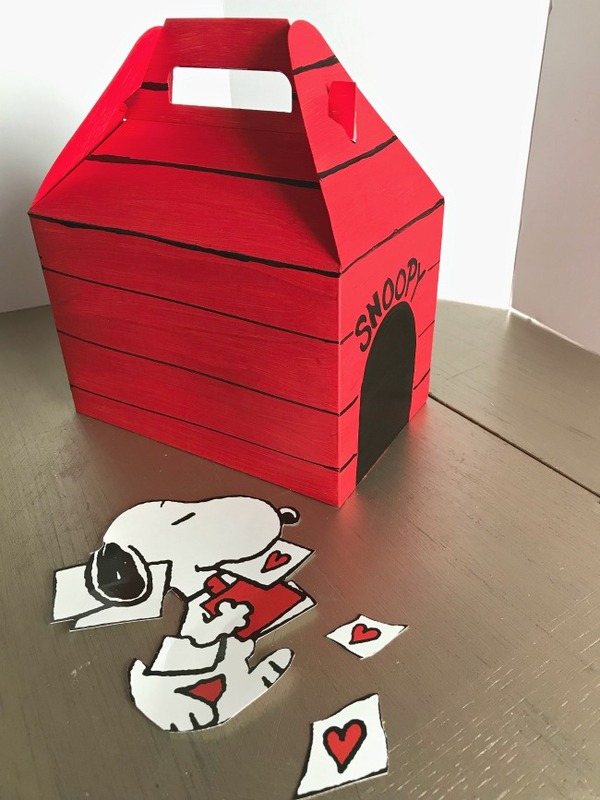 My daughter’s Valentine’s Day party is coming up and so I thought it would be SO much fun to do a Snoopy Valentine box for her to store her Valentine cards and candies until the party started. 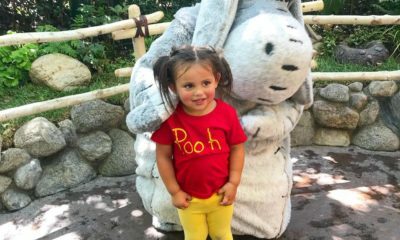 I also didn’t want the cards and candies she was giving out to get smashed in her backpack. 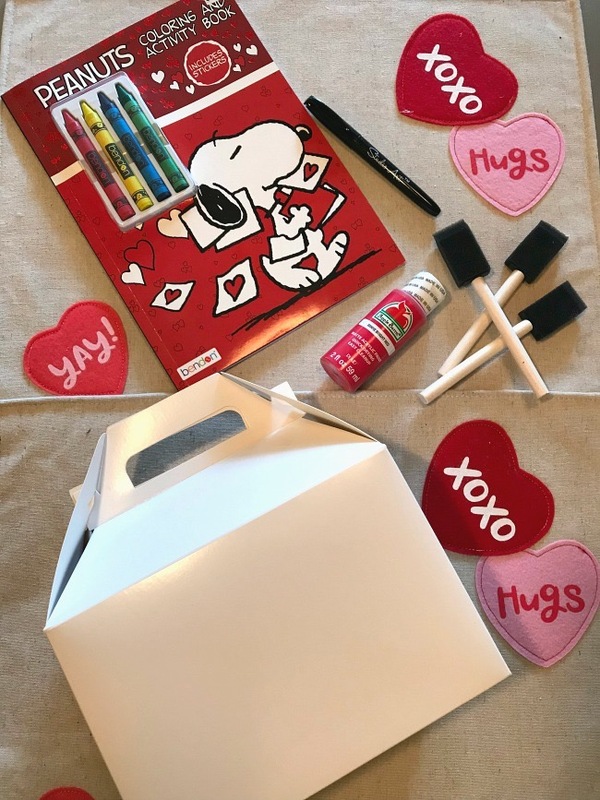 What I love about this “Do it yourself” Snoopy Valentine box is that it’s budget-friendly (it cost a total cost $6), super easy to make and it’s SNOOPY!!! Who doesn’t love that adorable little dog. 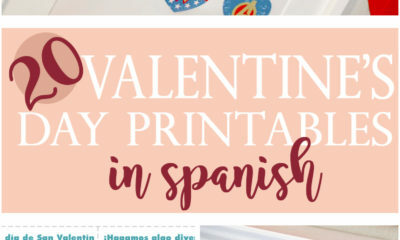 Also, this Snoopy Valentine Box goes great with our Valentine’s Day banner in Spanish!!! Make sure to have a large space like a table to work on. Get your station ready, by placing newspapers or anything that you can paint on. Time to paint! Assemble the gable box before painting. Gloves are optional. If you don’t want to get any paint on your hands, I suggest you use gloves. 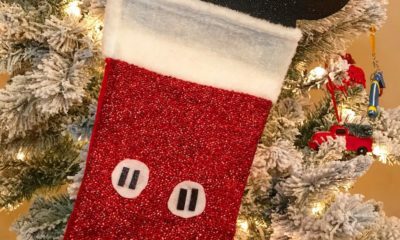 The 99 cent store has 10 for a dollar! 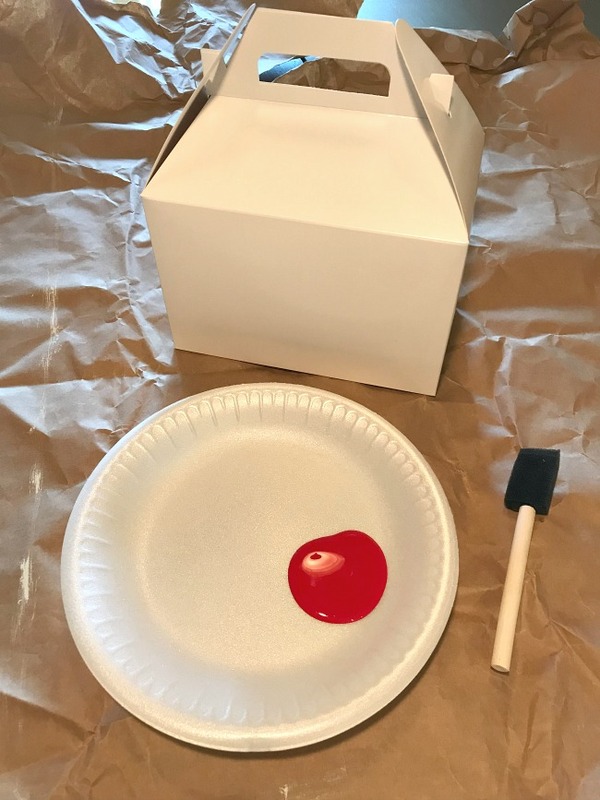 I used red paint for the box, which I bought at Walmart for 50 cents. 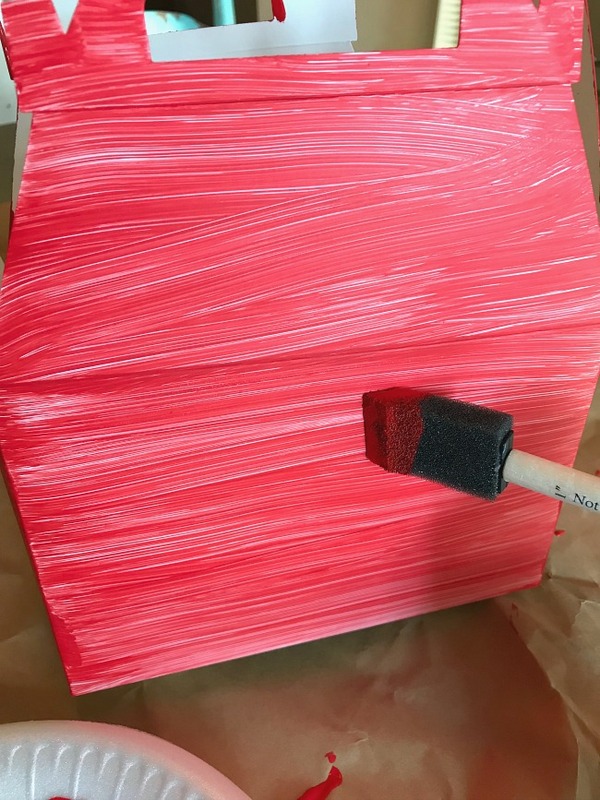 I used a paper plate to pour the paint on. 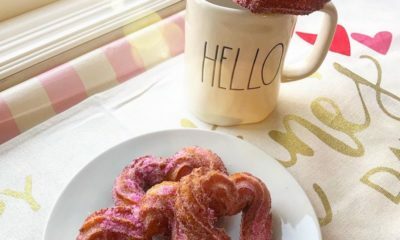 It makes for easy clean up and when you’re done, just throw it away. I applied the first coat of paint, let dry and then applied the second coat. paint coat on. Double check if you missed any spots and if you did, apply more paint. After the gable box is completely dry, grab your black marker and start drawing the dog door. 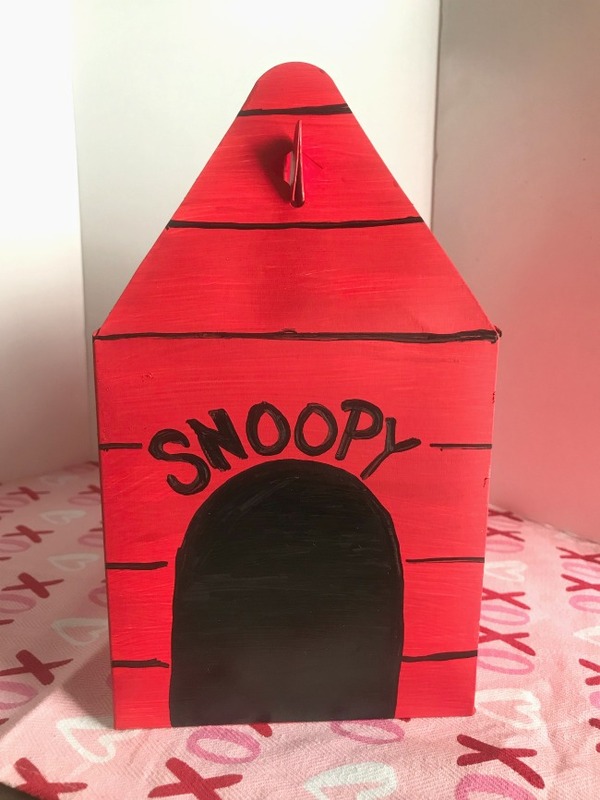 If it makes it easier for you, you can use a pencil first and draw the dog door and write out “Snoopy” on top of the door. Go over it with the black marker. Next, make the lines that go around the gable box. The lines don’t have to be perfect but if you want to get your ruler out and make those line straight, go for it. I bought a Snoopy Valentine Coloring book and I cut out the Snoopy from the front cover and a couple of the Valentine letters he is carrying. 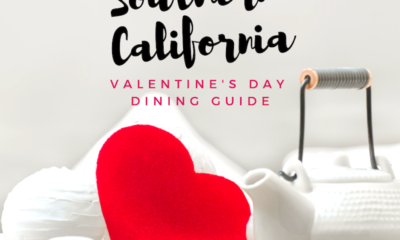 I’ve seen the Snoopy coloring books at Walmart, but you can use anything that you can find with Snoopy on it… Valentine card, Stickers, books, etc. Anything you can cut out and glue onto the box. When you have your Snoopy cut out, play around with it and see where it would look the best. Glue the Snoopy cut out with a glue gun to ensure that it doesn’t slide off. 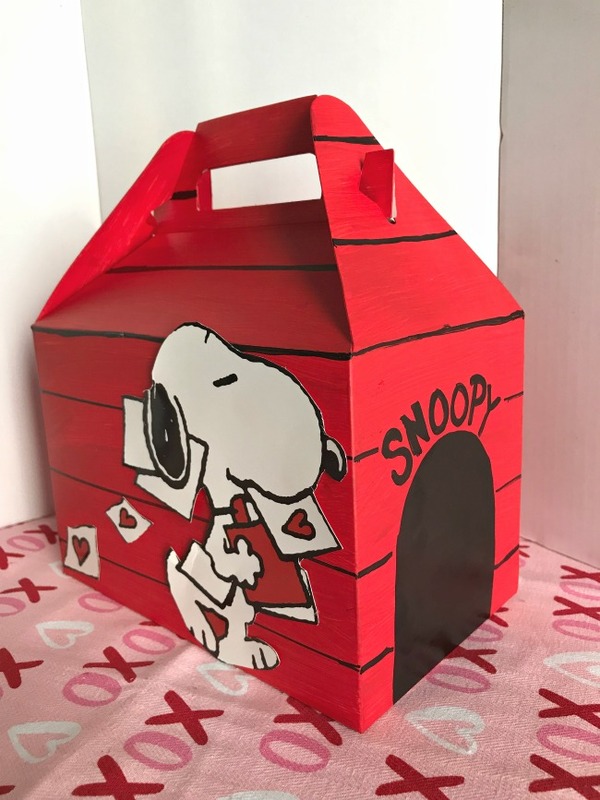 I am truly in love with this Snoopy Valentine Box, I can’t wait for my daughter to take it to school! This is also perfect for her to carry all her goodies that she will be receiving from her classmates. 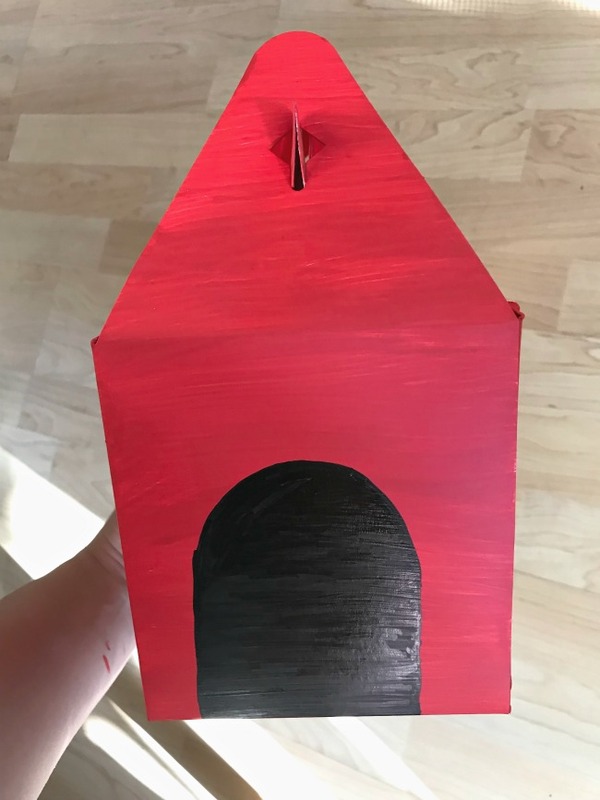 You might be able to make it even easier by getting a red gable box to make this DIY project. 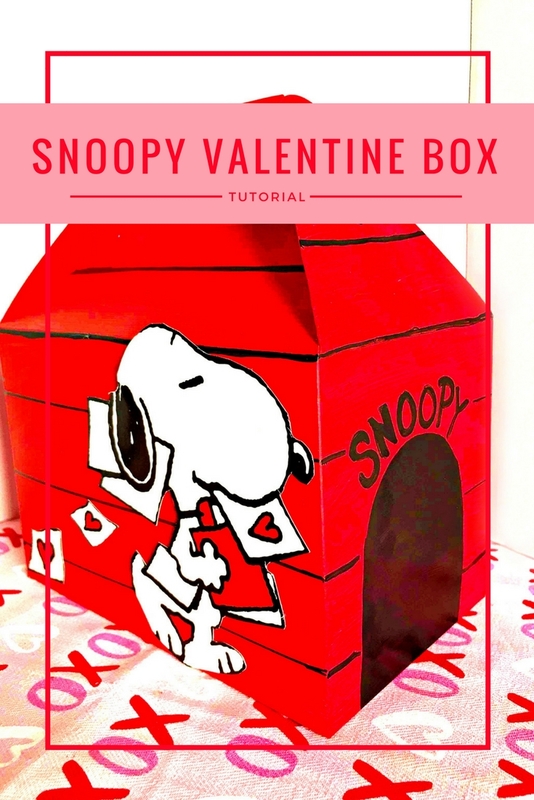 I had so much fun making the Snoopy Valentine box.